1817  Daniel McKee received a land grant from the state and operated a mill near Mountain Shoals (1, p. 3). 1823  McKee lost the property to a sheriff's sale (1, p. 3). 1828  Starling Tucker was the owner. 1834  James Rhodes owned the plantation. 1836  James Nesbitt and Leonard Hill purchased the property. The men were co-owners of the South Carolina Manufacturing Company (1, p. 3). 1837  James Nesbitt became sole owner of Mountain Shoals (1, p. 3). James Nesbitt had the house constructed that still stands today. 1875  James Nesbitt died leaving the plantation to his widow Caroline Brewton Nesbitt (1, p. 3). 1877  Caroline Brewton Nesbitt sold the plantation to James L. Hill, the son of Leonard Hill (1, p. 3). 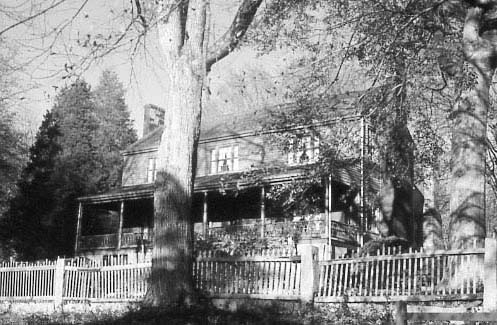 1924  The house was owned and occupied by the Hill family until this year when it was purchased by a local pharmacist, Dr. William H. Irby (1, p. 3). 1973  The Irby family left the plantation to the Enoree Methodist Church. 1975  Frank Coleman and Martin Meek purchased the property and restoration began (1, p. 3). The house is two-stories of framed construction which rests on a brick foundation. There are eight granite pillars supporting the structure. 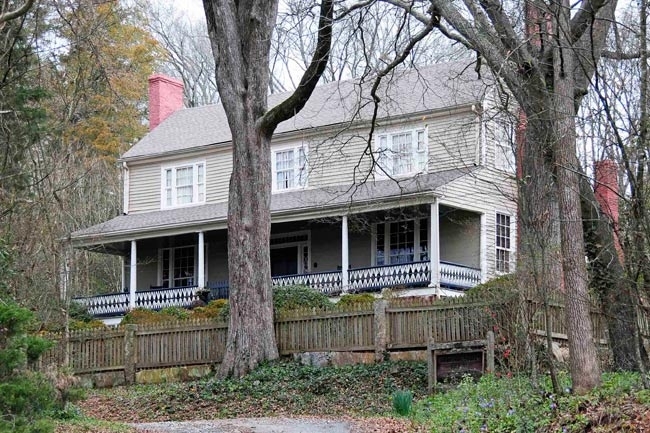 Also on the property is a circa 1815 log cabin that had been on a neighboring property and moved to Mountain Shoals (1, p. 2, 5).